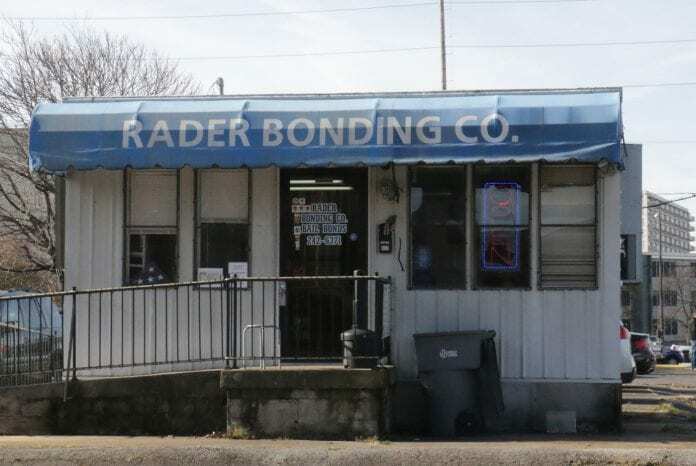 Open 24-7, 7 days a week, Rader Bonding is one of 25,000 bail bond companies in the U.S. It is a storefront in a $16 billion industry that makes $2 billion each year in profits. NASHVILLE, TN -— Paying a bail bond gets you out of jail until your court date. It’s supposed to guarantee you will show up in court to face charges. If you don’t, the bail bondsman forfeits his money. He’s already got yours and you won’t ever get it back. Most people show up in court anyway whether they posted a bond or not. “There is zero empirical evidence that shows money bail actually does what they are using it to do. Zero. 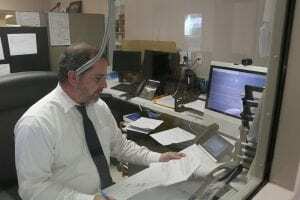 So why are they still using it?” asks attorney Jerry Gonzalez. an inmate at the Hill Detention Center. “It’s all about money,” he says. Commissioners and judges issue warrants and set bail, sheriff deputies process the accused into the system, bondsman post their bail with court clerks, case managers or lawyers represent people charged with crimes, and they all have to be paid. From the moment you get arrested it’s like being stuck in a taxicab with the meter running. You can’t get out until you pay up. With money bail, guilty or innocent, you start paying before you even get to court. “First the sentence, then the evidence!” shouted the Red Queen in Alice in Wonderland. That’s how the criminal justice system works for the American underclass. When poor people get arrested they fall down a hole like Alice and sometimes never get out. Bankrate.com surveyed 1,000 Americans last year and 63 percent said they wouldn’t be able to cover an unexpected $500 expense to their monthly income. Davidson County judges set bail so high for people last year, thousands couldn’t even pay a bondsman the usual 10% fee, so 12,320 people stayed locked up in the county jail until their trial date. They spent an average of 6 days in jail and they made up 59 percent of all 20,883 misdemeanor defendants in Davidson County. Forty-one percent (8,565 defendants) posted bond. The average bond amount was $4,688. A bond on $5,000 bail would cost you $500. Like the national Bankrate poll, sixty percent of the people who were arrested last year in Nashville couldn’t afford that unexpected $500 expense. According to the Pretrial Justice Institute defendants who can’t pay to get out of jail before their trials are four times more likely to get jail time and their sentences will be three times longer than defendants who had the money to post bail in the first place. The old convict saying “If you do the crime you do the time” is folklore not fact. If you’re poor you do time whether you did the crime or not. Even three or four days in jail can have devastating consequences. You can lose your job, custody of your children, your car, or even your home. When bad things happen, defendants become desperate and have a higher risk being arrested again. Money bail greases the wheels of a criminal justice system that is inefficient, unfair, and expensive. The most recent national figures available show U.S. taxpayers paid $14 billion a year to house defendants awaiting trial. A jail bed in Davidson County costs $117 a night according to the Sheriff’s Department. Poor defendants who couldn’t pay to go home to await trial cost Nashville taxpayers $8.6 million last year. In medieval times, bail kept clans from starting blood feuds that could turn into wars. Rather than take an eye for an eye, an injured party would take a “bot” instead. That was money or assets pledged by the accused to retain his freedom. If he didn’t show up for trial, the bond was forfeit, the victim was compensated, and the case was closed in what was considered a private matter. British law with its protections against pretrial detention was practiced in the colonies. Bail had three important elements: the nature of the crime, the strength of evidence, and a protection against judges setting excessive bail. The U.S. Judiciary Act of 1789 guaranteed the right to bail in all but capital cases. In a country with lots of wilderness, judges had to worry about the risk of flight when setting bail. From its earliest days, the country turned to bail bondsman and bounty hunters to manage its fledgling criminal justice system. The setting of bail was typically based on an individualized assessment of what a defendant could pay to assure appearance in court. “Moderation is to be observed,” wrote British jurist Joseph Chitty in 1819. “Otherwise the allowance of bail would be a mere colour for imprisoning the party on the charge,” he added. Making money off the accused is an almost perfect business model. There is little risk, low operating costs, and guaranteed profits. And the higher the bond the more money there is to be made. Egged on by the commercial bail industry, judges started setting higher and higher bail for a list of charges that grew longer and longer. By 1950 bail was being set so high that few could pay it. The majority of defendants paid a bond or just stayed in jail until their trial. The jail bond industry has always had its critics. In 1927, Arthur Beeley wrote about the corruption and ineffectiveness the of the bail system in Chicago and suggested alternatives to bail. “The present system neither guarantees security to society nor safeguards the right of the accused. It is lax with those with whom it should be stringent, and stringent with those with whom it could safely be less severe,” wrote Beeley. Decades later not much had changed. “Usually only one factor determines whether a defendant stays in jail before he comes to trial. That factor is not guilt or innocence. It is not the nature of the crime. It is not the character of the defendant. That factor is, simply, money. How much money does the defendant have?” said then Attorney General Robert Kennedy in 1964. About 14 percent of all detainees processed through the Hill Detention Center last year were released through the pretrial release program run by the Sheriff Department for misdemeanors and low-level felonies. “We want to release people,” said Veranda Smith, Booking Manager at the county jail. Last year 2,958 people were sent back to their jobs and families before trial without paying bail. The program began in 1978 and Davidson is one of three Tennessee counties that received federal funds last year to run pretrial release programs. About 5 percent of those defendants don’t show up for trial and 2 percent reoffend before they come to court. The program works well. Compared to places like New York City and Washington D.C., Nashville still relies way too much on money bail. Tennessee received an “F” grade in a report released by the Pretrial Justice Institute this month. It that found Tennessee was like other states where six out of ten people in jail are detained pretrial because they can’t afford bail. Public Defender Dawn Deaner recently spoke about how the bail system works in Nashville. She said commissioners who set bail are supposed to consider pretrial release without bail. “They don’t, they skip right to the money bond,” Deaner said. Deaner’s office got a grant to develop a risk assessment tool judges could use to make better decisions about pretrial release. Under state law, judges are supposed to weigh eight criteria before setting a defendant’s bail. They include employment, family ties, character references, and criminal history. But too often they don’t. According to Gonzalez, judges in Rutherford County use a bond schedule to set bail and so he sued them. And he won. The county agreed to stop setting bail based solely on the charged offense. “They are still doing it,” Gonzalez says. “With a growing number of defendants facing increasingly higher money bail bond amounts, the professional bail bond industry flourished in America,” wrote the authors of a 2010 paper called “The History of Bail and Pretrial Release”. Bail bondsmen and the nine insurance companies who control the industry have deep pockets. They lobby lawmakers, contribute to their campaigns, as well as to judges and District Attorneys running for office, and they have many friends in law enforcement because they are part of it. Critics say that is precisely what’s wrong with commercial bail bonds. Bondsmen prey on people who must buy their product or surrender their freedom. Private security firms, private prisons, bail bondsmen, and big insurance companies are integral parts of a uniquely American criminal justice system that relies on commerce to mete out justice and is increasingly becoming more privatized. The American Legislative Exchange Council (ALEC) is a conservative group of state legislators whose legal specialists write bills that serve their corporate members. One of them is the National Association of Bail Insurance Companies (NABIC). According to a 2012 article in Punishment and Society, ALEC has 2400 state legislator-members from all 50 states. It has 100 former or current members of Congress listed as alumni, and more than 250 corporate or foundation sponsors. ALEC has a multi-million dollar budget to advance a conservative agenda and bail reform is not on its bucket list. “The group’s impact to date has been substantial; its website (www.alec.org) claims responsibility for nearly 1000 bills annually based upon ALEC generated model legislation, with 20 percent eventually becoming law,” the article stated. Since the mid-1990s, the American Bail Coalition and NABIC have worked with ALEC to end pretrial service agencies they call “free bail” agencies and “criminal welfare programs”. There is a national fight quietly going on in statehouses around the country and the bail industry’s agenda has been set by a trade group of insurance companies and bail bondsmen called AIA. Jerry Watson is AIA’s chief legal officer. He is past head of the American Bail Coalition and past chairman of ALEC. Drawing on ALEC model legislation, the commercial bond industry has sponsored bills or initiatives to protect its financial interests in Virginia, Georgia, Washington, and Colorado in recent years. Dozens of bills have been introduced in other states, too. Congresswomen Diane Black and Marsha Blackburn are ALEC members from Tennessee. State Representative Bill Sanderson and State Senator Bill Ketron are ALEC’s state chairmen. They are political operatives in the fight to preserve the bail bond system in Tennessee. In Washington both Republicans and Democrats are sponsoring crime bills to address prison reform and pretrial detention. They can’t agree about much but both sides are persuaded that the bail system is unfair and inefficient. The most persuasive and pithy argument for bail reform was made by one of the Supreme Court’s most conservative justices. “In our society liberty is the norm, and detention prior to trial or without trial is the carefully limited exception,” wrote Chief Justice William Rehnquist in the 1987 case, United States v. Salerno. 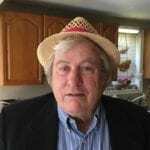 Thirty years after Salerno, too many Americans are still doing time in jail because they can’t pay the man to get out. Mounting calls for bail reform led to the bail Reform Act of 1966 and another one in 1984. They established the right to secure bail but only if a defendant posed no danger to society. Theoretically, these laws re-established the idea of assessing each individual before setting bail. Kennedy’s crusade against an unfair bail system led to something new, pretrial release without bail. In the 1960s, the Manhattan Project imposed non-financial conditions on pretrial release for defendants they interviewed. Those defendants appeared in court three times more often than people who were released on secured money bail. The Manhattan Project’s early success prompted federal courts and the District of Columbia to stop using cash bonds. More recently, scandals involving collusion between bail bondsmen, law enforcement, and corrupt judges prompted Illinois, Kentucky, Oregon, Wisconsin and New Jersey to abandon their bail bond systems. Maine, Nebraska, Arizona, New Mexico, and Maryland have prioritized pretrial release over bail but not eliminated it. In other states, bail bondsmen and advocates of pretrial release are fighting over the jailhouse keys. So far, bail bondmen are winning or at least increasing their market share. In the states that still allow bail, 42 percent of pretrial releases were secured with commercial bail bonds in 2004. In 1992, it was just 22 percent. Last year, the U.S. Justice Department filed an amicus brief arguing that the practice of keeping defendants in jail because they can’t afford a fixed bail amount is unconstitutional. A number of lawsuits have been won by arguing the bail system violates due process and equal treatment under the U.S. Constitution, but piecemeal change has come slowly and most Americans charged with a crime still pay a bond or stay in jail until their trial. The $16 billion bail bond industry is doing well despite reform efforts to eliminate it.